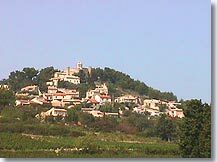 Rasteau is a village of Upper Departement of Vaucluse wine-growers, perched 200 metres above sea level on a mound between plains and forests. The houses spread out at the foot of a beautiful 12th century Romanesque church, and the ruins of a 12th century chateau overlook the village. 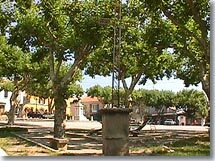 You can't miss the huge shady square, right in the heart of the village. This is where the locals meet up, find out what's going on and have a good gossip. In this part of the village, the houses look more and more like the setting for a Provencal crib, with their brightly coloured little doors and windows. The more athletic amongst you may like to continue the climb up to the 12th century former bishop's residence, which is right next to the church at the top of the village. Here you can get your breath back and enjoy the panoramic view that opens up before you. You can explore the hills and lovely countryside by taking the waymarked footpaths around Rasteau. 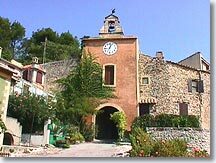 You can also take the GR4 hiking path which heads for the neighbouring villages: Roaix or Cairanne. 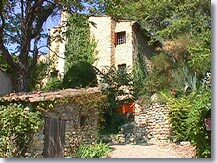 Whatever you do, don't leave Rasteau without stopping at the magnificent wine co-operative on the edge of the village, which proposes the excellent Cotes du Rhone produced here. The wine-growers obtained the "appellation" more than half a century ago ! You can also visit the vine cultivation museum, with its collections of tools, instruments, photos and documents explaining this traditional passion for wine-growing and the knowledge about how to make good wine. Remains of the chÃ¢teau (12th century). Church of St Didier (12th century) Wine-growers museum (on the Roaix road). Roaix (3 km), Cairanne (5 km), Vaison-la-Romaine(8 km), Sablet (6 km).